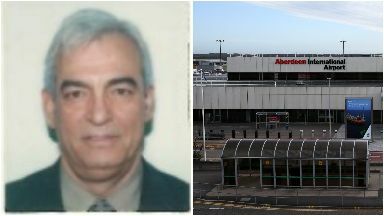 Yahya Ghassemazadeh, of Montrose, is believed to have travelled from Aberdeen in October. A search has been launched to find a missing man who boarded a flight to Paris. Yahya Ghassemazadeh, also known as John Cowry, is missing from his home in Montrose. Police believe the 74-year-old took a flight from Aberdeen to Paris on Friday, October 12, and may have travelled on from there. He was due to return home "some time ago" but hasn't appeared. Officers are now appealing for anyone who may have contacted him since October 12 to get in touch. They would also like to speak to anyone who may have spoken to him on his flight or at the airport, who would know more about his travel plans. Mr Ghassemazadeh is well-dressed, 6ft and has short grey and white hair.